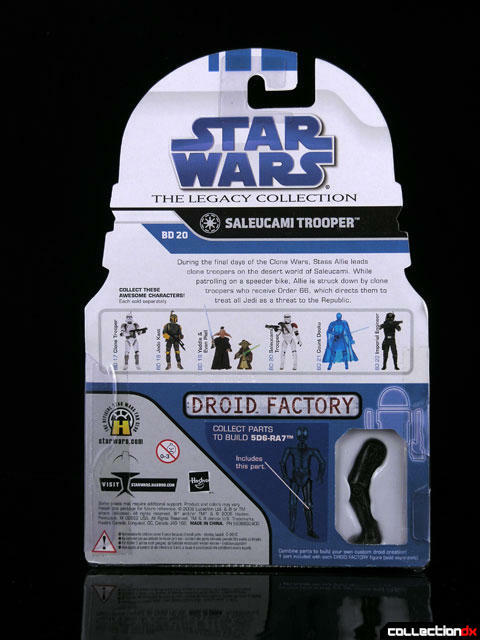 The Saleucami Trooper shows up for a few seconds in Episode III, when Stass Allie gets mowed down by a group of troopers who just got order 66. Don't know what I am talking about? Well, you're on the wrong website my friend. 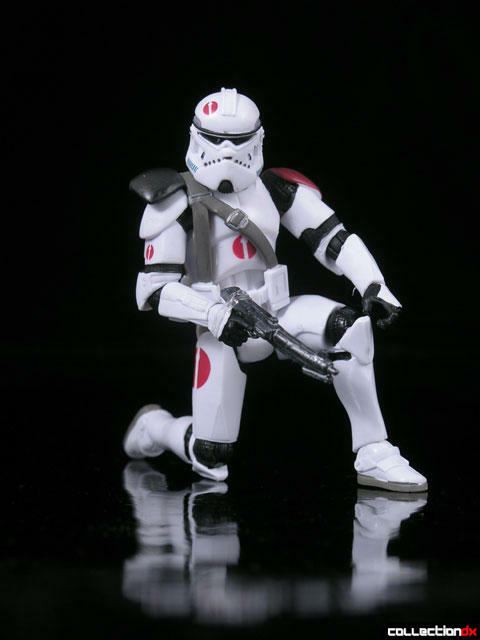 This trooper is yet another variant of the Clone trooper, and who doesn't like Clone Troopers? Nobody! 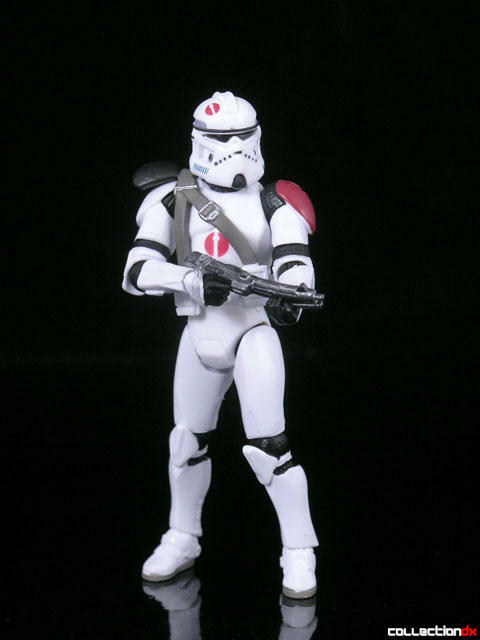 That's why Hasbro keeps pumping them out, and why we keep buying them. 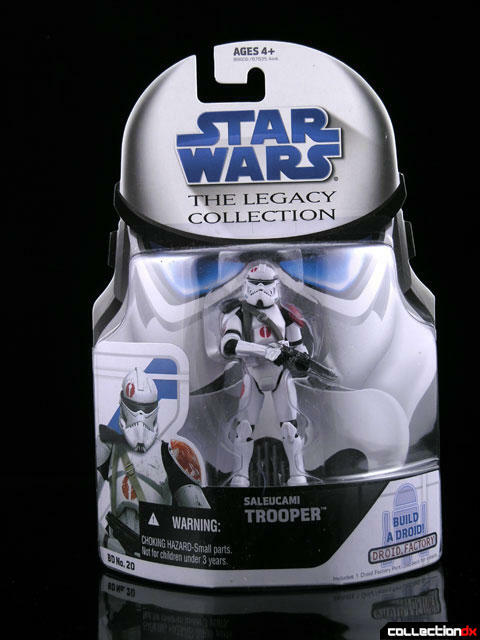 They could put out a whole line of nothing but Clone Troopers, and I bet they would sell out. 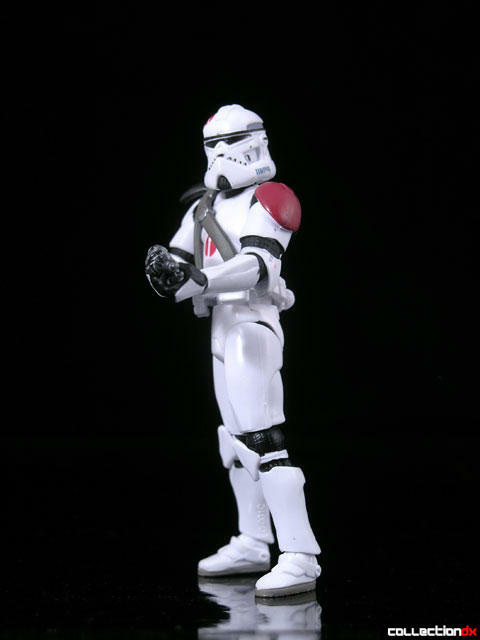 The figure is your standard Trooper figure, with some different paint deco and some additional armor. 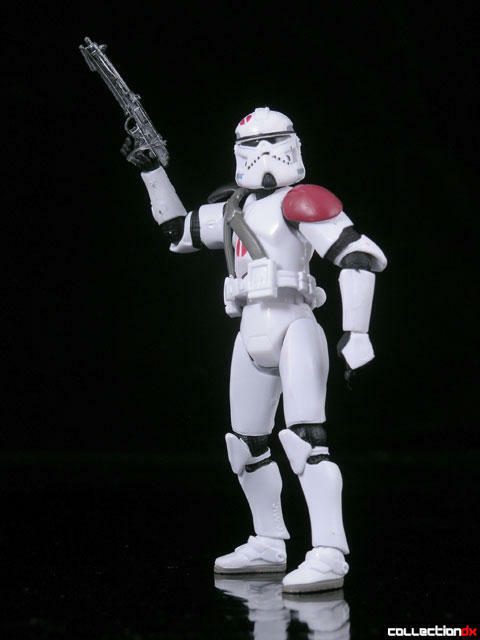 Articulation is great, with ball joints all over the place, the only oversight being the lack of ball jointed hips (those are swivel). 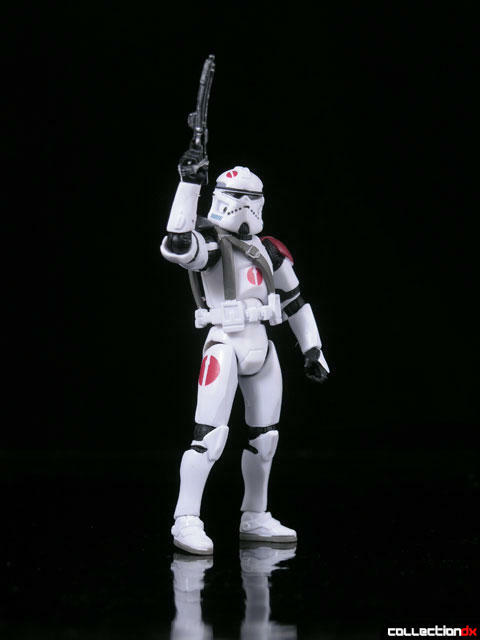 The Saleucami Trooper is a pretty neat figure, but nothing earth-shattering. 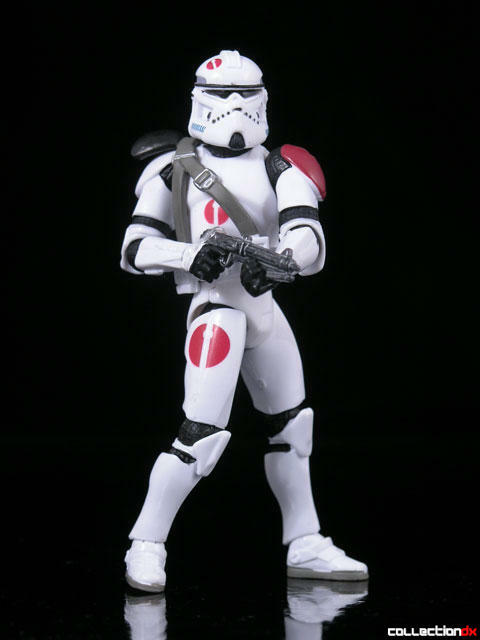 He does come with a leg for the 5D6-RA7 droid, so if you are trying to complete that, you will need this figure. **Here's an interesting piece of trivia - I first started this review in November of 2008. So it's only taken me 9 months to catch up with it.